Join us for our 13th annual dance recital featuring dancers from ages 2 through adult. Tickets will go on sale May 4th at noon. City wide Daddy Daughter Dance is schedule for February 23rd at Saddleback Elementary from 6-9pm. 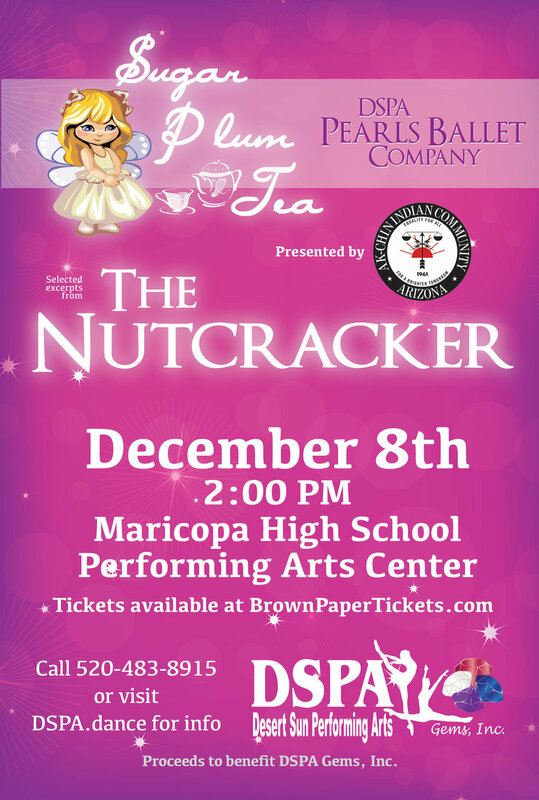 Tickets can be purchased at dance.dspagems.org. PLEASE PURCHASE TICKETS IN ADVANCE! : Tickets the day of the event are $30 for Mother and 1st Daughter and $10 per additional Daughter. FREE DAY of DANCE schedule! Saturday August 6th at DSPA. Take one class or take many. Starts at 8 am and classes run all day long! Click on event link to see the schedule for the day. An evening of celebration and entertainment where families can enjoy performances from DSPA performance/competition teams, DJ, dinner catered by Brooklyn Boys and students will receive their 3-10 year awards! RSVP with Miss Amy at the front desk! Bring your daughter and impress her with your great "Dadness". Dinner, Dancing, and Dessert plus a Keepsake Photo.